Very good. Scratch in metal across top near viewfinder. Lens cap is a bit scuffed. Donated to Ryerson University Library Special Collections by Avril Rumney, wife of Irving G. Rumney, in August 2007. Item is from the Irvine G. Rumney memorial donation, accession number 2007.005. Moved to the Heritage Camera Collection in 2013. Donated to Ryerson University Library and Archives in memory of Irvine G. Rumney. 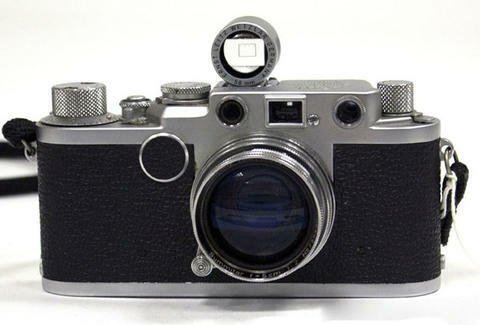 The Summitar lens usually appeared on the Leica IIIc model, released 1941. The IIf had a Summicron lens. See The Leica Collector's Guide 1925-1960, compiled by D.R. Grossmark.